​How can we best model species responses to climate change? Ongoing climate change is causing species distributions to shift, which is already leading to species extinctions to reduce global biodiversity. A powerful tool in mitigating this biodiversity loss is to model where species will shift with projected future climates, allowing for tailored management and conservation actions in vulnerable areas. However, such models (e.g., Species Distribution Models or SDMs) are based on important assumptions that are often left unexamined. Combining global species occurrences and field-based datasets, I seek novel approaches to improve forecasting tools so that we can more accurately model species distribution shifts with climate change. Subpopulation Species Distribution Models (SDMs), not traditional global SDMs, more accurately predict an arctic-alpine plant's geographic distribution and thus could provide an improved approach to predicting species responses to climate change. ​Geographic range limits are not at the edge of the climate envelope for an endemic pine, illustrating that northern range limits do not necessarily correspond to a species' colder range edge. ​how do humans impact ecosystems in extreme environments? Central to modeling species distribution shifts is a comprehensive understanding of the mechanisms that determine species geographic distributions in the first place. However, it is unclear how localized disturbances, such as human trampling, affect populations at range limits as well as species community interactions. I focus this work in extreme environments, particularly in arctic and alpine ecosystems, as they are particularly susceptible to the effects of climate change and human disturbance. To capture effects across species' geographic distributions, I conduct extensive population surveys around the globe and employ quantitative ecological modeling techniques to further our understanding of what factors are important at species range limits. ​Human trampling disturbance benefits two alpine cushion plants at lower, but not upper, elevational range limits, highlighting the need to include anthropogenic disturbances as a dynamic factor in species distribution predictions as well as in landscape management. 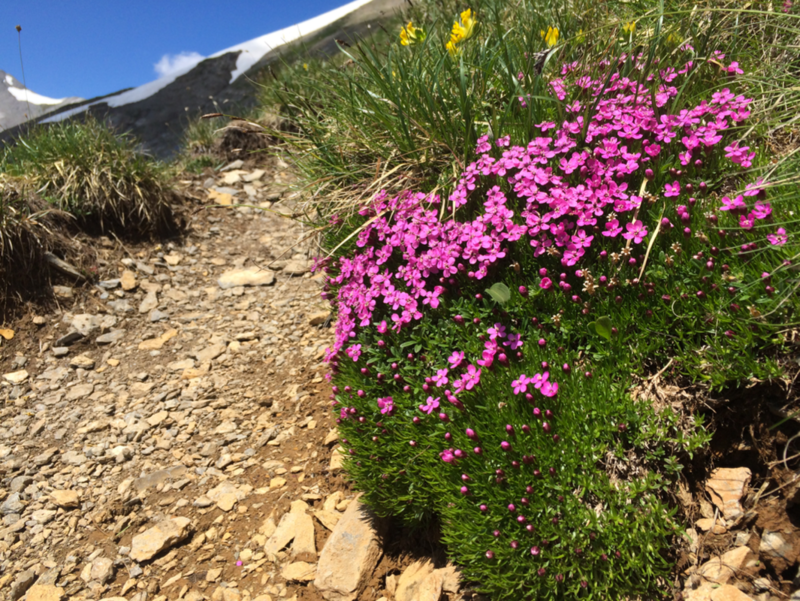 ​Local trampling disturbance reduces reproductive measures of an alpine plant and decreases overall community diversity in an alpine ecosystem that is surprisingly dominated by competitive, not facilitative, interactions. Funding for this work is generously provided by: Zeno Karl Schindler Foundation; American Alpine Club; Environmental Studies Program at University of Colorado, Boulder; Indian Peaks Wilderness Alliance; John Marr Ecology Fund; Hazel Schmoll Research Fellowship; Botanical Society of Switzerland.